Data is from the December 2017 AdColony "App Install Marketing Survey: Fall 2017." 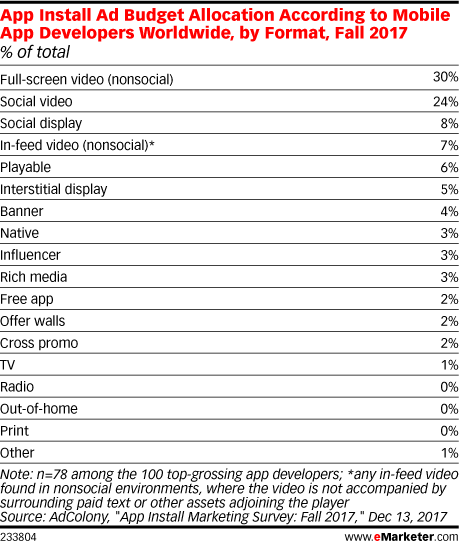 The semiannual survey is sent to the 100 top-grossing app developers worldwide. For this wave, 78 developers were surveyed during fall 2017. AdColony is a mobile advertising and marketing platform.